Do you bring a new dog toy home from the store just to have it destroyed in a matter of hours or days by your exuberant pup? Does your energetic kitty shred every toy you buy? Or, worse yet, shun the expensive store bought toys in favor of your favorite slippers or the corner of your new chair? 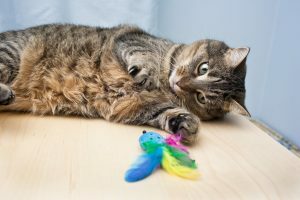 Whether you’re a seasoned crafter or don’t consider yourself to be the crafty type, our list of fun, economical, and Earth-friendly DIY pet toys is sure to please your furry friend, without taxing your budget or your patience. Hi-ho, hi-ho, it’s off to work we go, this time with our dog! That’s right, national Take Your Dog To Work day is right around the corner (June 24th this year to be exact), and if you have the right type of dog, and the right type of boss, you may be looking forward to this annual event. 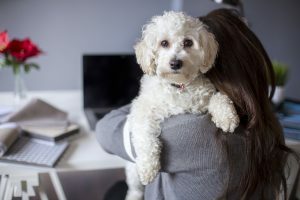 Since every day is take your dog (or cat) to work day here at Oakland Veterinary Referral Services, we figured we would share our tips for a safe and successful workplace visit for you and your best pal. 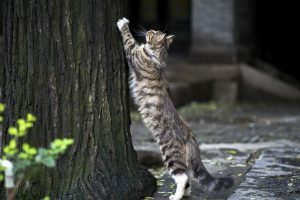 These are just a few of the reasons typically given by owners who allow their cats to roam freely outside. 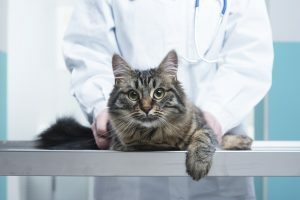 Every pet owner has experienced that feeling when you know that your pet should probably be seen by a veterinarian, but you’re hesitant due to the stress you know it will cause. Many pets miss out on basic wellness care and even sick care due to their fear of coming to see us. Things are changing, however, and Fear Freesm veterinary visits are becoming the trend. Oakland Veterinary Referral Services is happy to embrace this trend and help more pets get the fear-free care that they deserve.